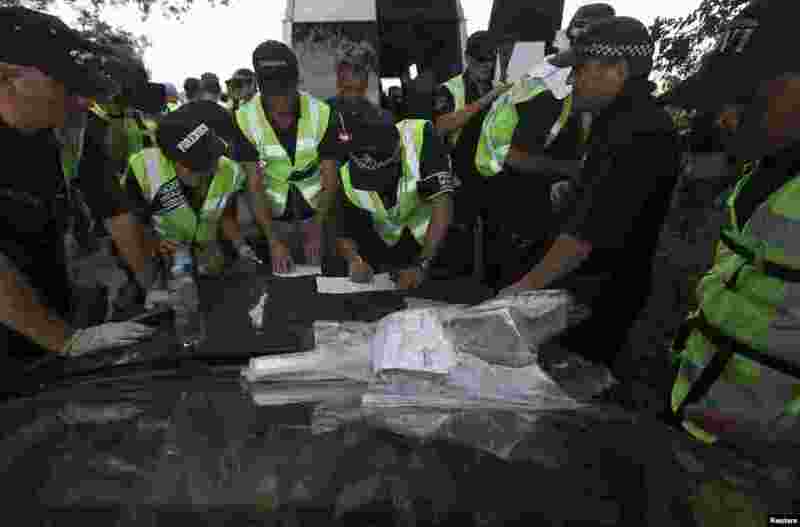 5 Dutch and Australian forensic experts continue recovery work at the site of the downed Malaysian airliner MH17 near the village of Rozsypne, in the Donetsk region, Aug. 4, 2014. 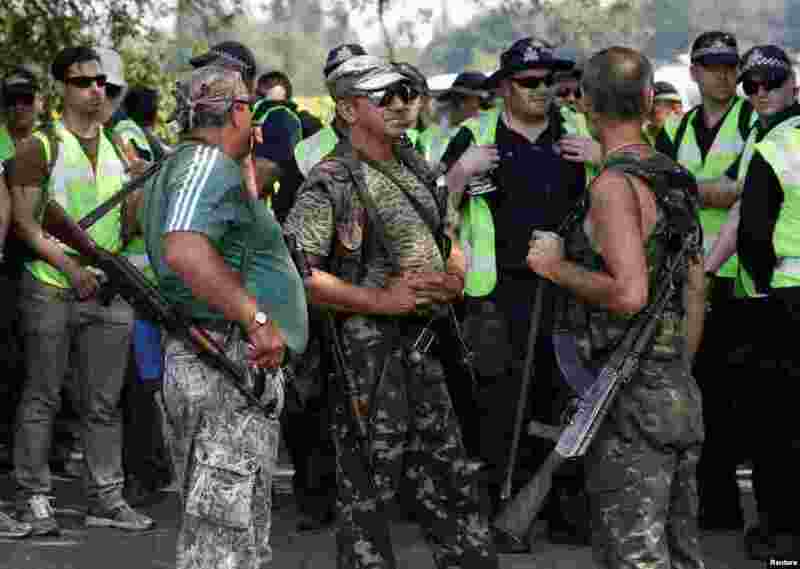 6 Pro-Russian separatists stand near Dutch and Australian forensic experts preparing to continue recovery work near the village of Rozsypne, in the Donetsk region, Aug. 4, 2014. 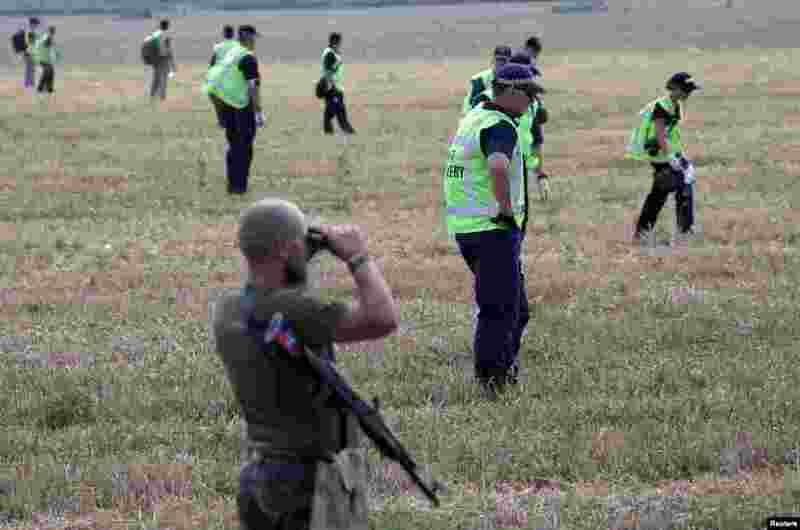 7 A pro-Russian separatist looks through binoculars as Dutch and Australian forensic experts continue recovery work at the site of the downed Malaysian airliner MH17 near the village of Rozsypne, in the Donetsk region, Aug. 4, 2014. 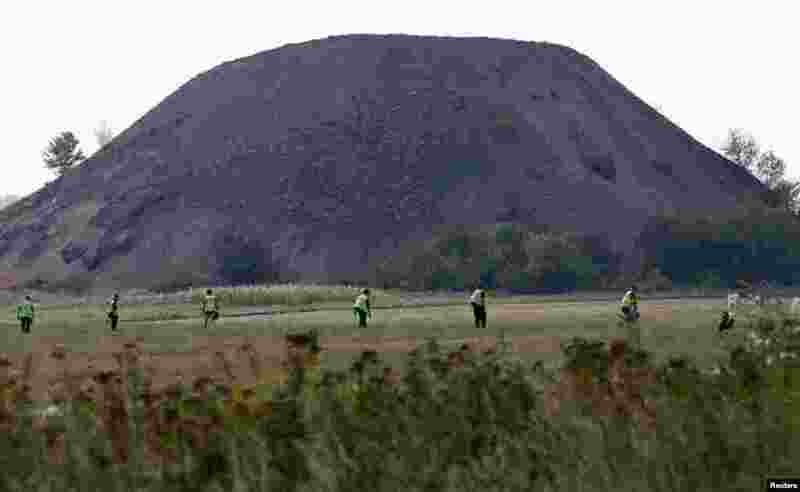 8 Dutch and Australian forensic experts continue recovery work near the village of Rozsypne, in the Donetsk region, Aug. 4, 2014.